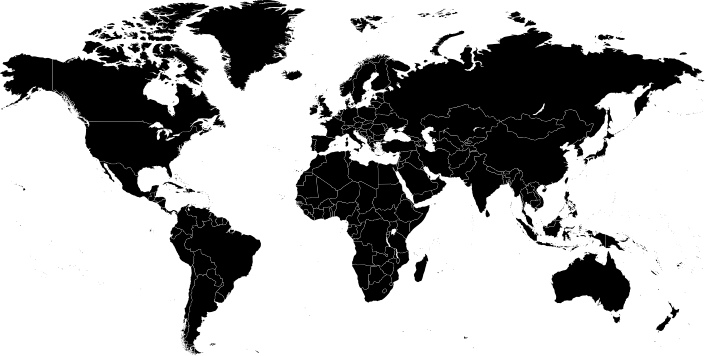 DENSOLASTIC® polyurethane cold pouring compounds seal joints in asphalt and concrete permanently and reliably, and provide resistance to fuels, oils and mineral acids. 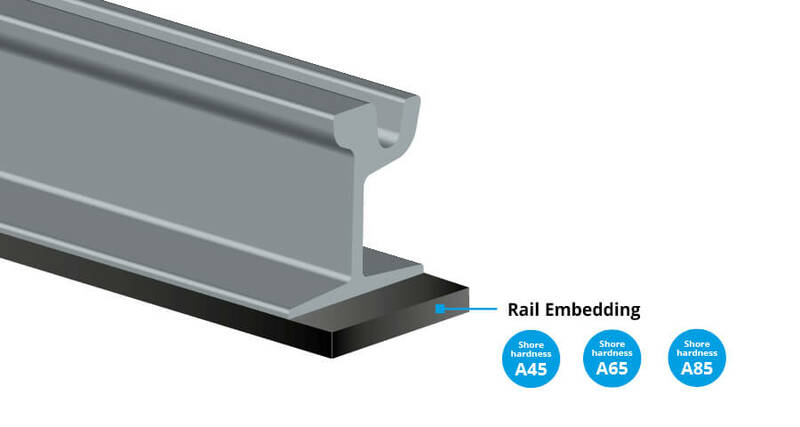 These compounds have been used successfully across the world as vibration and noise-damping pouring compounds for railways, platforms and manhole covers. 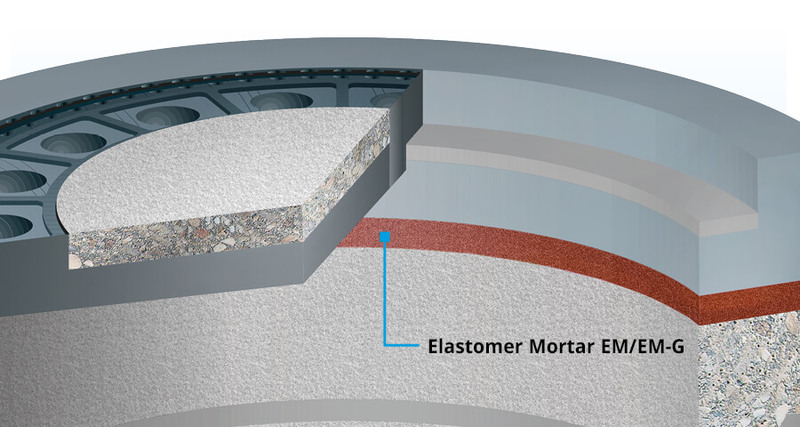 DENSOLASTIC®-EM is a permanently elastic mortar that creates a reliable seal on joints around components (e.g. 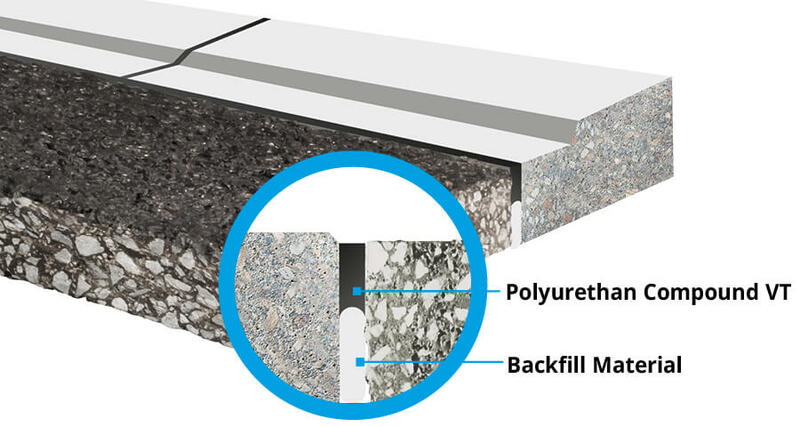 manhole components on road surfaces) that are subject to high dynamic and static loads. 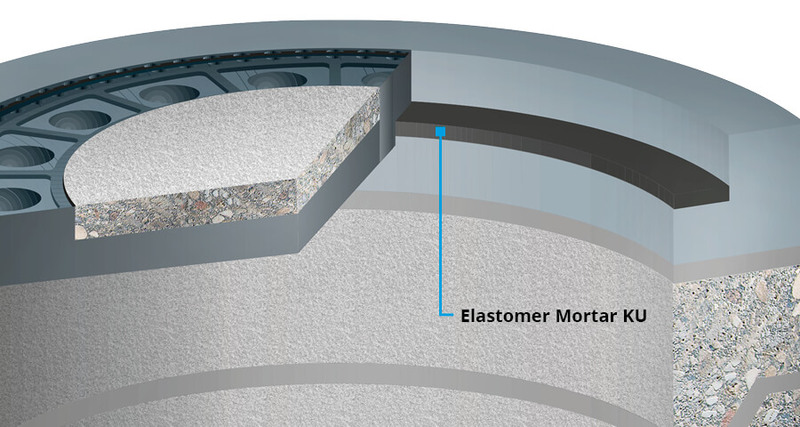 The elastic and vibration-damping pouring compound DENSOLASTIC®-KU is used to prevent manhole covers from rattling as vehicles drive over them. DENSOLASTIC®-SU is a vibration and noise-damping, permanently elastic pouring compound used for railways and platforms in urban areas. DENSOLASTIC®-SU also reliably protects the foundations and fixtures of bollards and gate valves, which are subject to mechanical and corrosive loads. 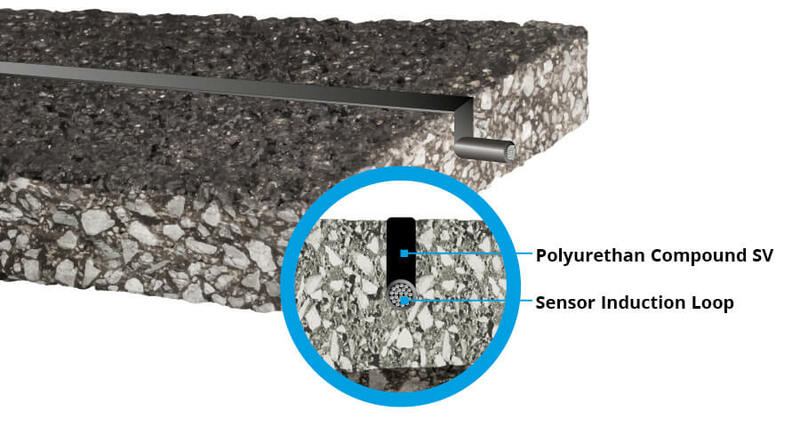 DENSOLASTIC®-SV reliably seals slits that have been cut into asphalt and concrete surfaces to install sensors, such as (piezo) sensors for measuring speed or induction strips, guaranteeing that the installed components function without fault. DENSOLASTIC®-VT reliably seals joints in surfaces that must be resistant to fuel, oil, acids and lyes in accordance with the German Water Management Act.